iheartsl Second Life Fashion and Community Feed – iheartsl.com is the longest running Second Life Fashion and Community feed. All syndicated blogs are written by residents and feature SL-related content. Swanks April round is still running and now I would like to show you another premiere of Swank & co. This time a home&garden release by Adonis Lubomir. 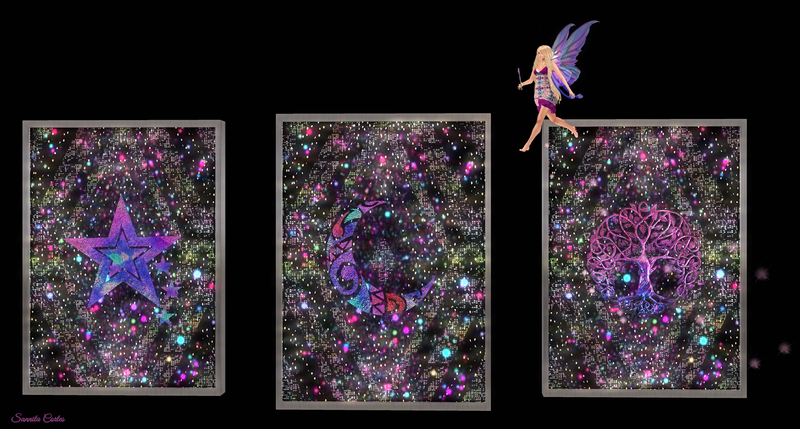 They are really amazing and they blinking and their lights in the frames let me think about fairy magic and my inner child came out.… Read more at the source. Les Sucreries de Fairy - New release for this round of The Season Story event: Irrisistible dress. Available at gacha in 4 colours and 5 types. Comes with Maitreya applier. O belíssimo vestido é lançamento da loja para o evento.… Read more at the source. Listening to Van Morrison today and then this song came on and it inspired me to build this picture.… Read more at the source. Location: Studland Bay… Read more at the source. The freebees @ Redeux Event. And an awesome huntgift from Queenz. I decided to follow my own advice (in my former blogpost,LOL), took my freebee Queen out of the closet and went freebee hunting. First I stopped at Queenz shop, hunted the two bunnies down and got these awesome boots among other stuff.… Read more at the source. Nails LIVIA Myla Bento Nails + Rings MKP @Zodiac Event New!! !… Read more at the source. Hey Fabulouses! One of the many things I love about Second Life is that you can be who ever you want, whenever you want! Right now I’m having some roleplay fun at the Elvion Sim defending the Fae (who are actually probably more capable of defending me, but I look cool with the sword right?) wearing a couple of pieces from the Azuchi Merida Gacha Set that has just been released at Epiphany.… Read more at the source. COLLAR: Conviction - Nameplate Choker RARE2 w/hud name [email protected]epiphany… Read more at the source. Read more »… Read more at the source. No, that’s not salt.… Read more at the source. Now… Minchen says hi and told me to tell you that tomorrow will start a hunt on her Sim. … Read more at the source. Necklace: MINIMAL Frida Gacha @The Epiphany… Read more at the source.